It's election season for Congregation Ahavat Shalom, better known in these parts (aka Teaneck) as TABC or the Apartment Shul. We're a community of young adults, recently marrieds, and people with a few kids here and there who live in a collective of three apartment complexes -- Terrace Circle, Walraven, and Westgate -- although there are a few stragglers outside these complexes. Tuvia and I live in Terrace Circle, and I actually think the bulk of the shul membership lives here, too. So there's a president, treasurer, and all of those other fun positions, including Sisterhood Committee, and then there are four vice presidents -- one for each of the complexes and one to represent those who don't live within the complex system. And so, someone nominated me for the VP of Terrace Circle, and I was both shocked (in that Sally Field "you love me! you really love me!" kind of way) and stoked. Most people have responded to my nomination with, "So now you're going to have to actually come to shul, right?" to which I respond, "Well, yes." You see, most people don't remember that I actually used to come to shul, every weekend, but then summer hit and I was in Israel for a month and then we were in Nebraska and then it was one million degrees outside and ... forgive me my sins! My role, should I be awesome enough to land it, will be to make sure Terrace Circle shul members pay their dues (enforcer! ), help connect the complex to the board (communicator! ), organizing and erecting the complex sukkah (project manager! ), and to help organize and make awesome the Purim chagigah and all other fun events like the BBQ (event planner! shmoozer!). I think I'm cut from the cloth to handle all of this, don't you? And after the sukkah fell down practically on top of me last year, I'm ready to make a durable sukkah that will be able to sustain the wrath of HaShem! Oh, and I hope to make it more aesthetically pleasing than it was last year. A sukkah should be downright beautiful, people. Come on! Also? I'd really like to use my position to streamline the inclusiveness of the Terrace Circle apartments. 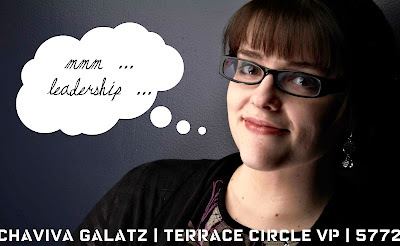 I feel like there are a lot of factions and cliques and people who come into the community who don't really get the welcome they should from the appropriate representatives of the various complexes, and I want to be that face -- the face of Terrace Circle! Yes, I might come banging down your door for dues, but I'll invite you to an awesome Terrace Circle event while I'm at it. I want people to feel comfortable bringing issues to the board about anyone, anywhere, anytime and to be able to trust in me that I'll handle things appropriately and confidentially, too. Have questions? Want to know whether I'm ready for the position? Whether I can handle being a member of the boys club? Feel free to comment or email me. And I'm serious about the coffee. All are welcome to come and partake in the Keurig or enjoy a delicious Lazy Bean beverage, on me, to talk Terrace Circle and Ahavat Shalom shop! 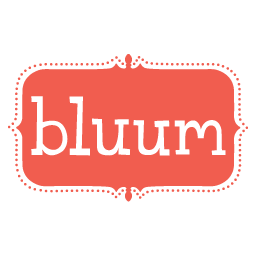 Someone pointed out to me that there's a misspelling in my header here on the blog, and it's funny, because it was the first time some pointed it out to me. So lest you all think that I can't spell, I have to explain. In the header, it says that this blog is "A Practical Guide to the Perpetually Underconstruction Neshama of the Kvetching Editor." For those of you keeping score at home, usually it's "under-construction" or "under construction," so why exactly did I spell it as one word? Being the editor that I am? I wrote a blog post about this philosophy on By any other name ... back in 2008, and I've noted the idea of Underconstructionist Judaism many times, most recently in my own response to The Tzniut Project. There are a lot more posts where I reference this philosophy, too. The idea is that all Jews should be moving, flowing, questioning, and searching, never settling. Jews should be under construction, always. Thus, in my header, it's a play on words. Capiche!? It's hot as Hades outside (does anyone outside of the Midwest use that phrase? because I use it all the time), but I'm busy preparing for Shabbos anyway, baking, cooking, and attempting to stay hydrated. On the menu? Well, this is for tomorrow. We're eating by Stephen and Tzipora, so I'm providing a dessert. I decided to make Croatian Star Challah, which I read about on The Challah Blog. Lovveeee it! So unique. Too bad I can't eat it. Bummer. And, of course, there's a Grilled Chicken with a Bourbon-Peach Butter. Check out the peaches on the stove! The finished product isn't that tantalizing visually, but good lord the "butter" tastes amazing! I'll add that this menu is for four people, but I had plotted this meal when I assumed we were having a full table (that's eight), and unfortunately not everyone was around this week. But I forged forth with my menu anyway! Lucky guests, eh? The course will examine the role of intention in different areas of Jewish Law - prayer and performance of other commandments, shabbat, torts, criminal law, vows, idolatry, and other areas of law. We will read carefuly Talmudic discussions concerning these matters, attempting to investigate the philosophy of action implied in these discussions as well as the spiritual and dimension of the relationship between the inner life and the outer performance in Jewish thought and Jewish Law. (all materails will be supplied with English translation). Are you as excited as I am? Because, well, you should be. Why? Because I'm going to rock some awesomeness, darn't! Yes, I know what everyone is going to say: You should have figured this out before you got married! Come on! Right now, then, the question about customs to which I'm referring involve The Three Weeks -- those days weeks that started with the fast of the 17th of Tammuz (on Tuesday) and culminate with Tisha B'Av. There are a lot of customs, a lot of minhagim that many adhere to in public and private, others just in public, and some not at all. For example, many will not shave, get a haircut, get married, or listen to music during The Three Weeks, and this is standard Ashkenazic custom. When the Nine Days arrive, leading up to Tisha B'Av, many Jews won't eat meat or do laundry, either. Where does this come from? The first source for a special status of The Three Weeks as Bein ha'Metzarim is found in Eikhah Rabbati 1.29, which glosses Lamentations 1.3's "All Zion's pursuers overtook her between the straits" and understands "straits" as "days of distress." These days of distress are 17 Tammuz through 9 Av, as cited by Rabbi Isaac Tyrnau in his book Minhagim, a record of Austrian customs. His opinion was then cited as halacha by Moses Isserles in Rema on Shulchan Aruch. Here's my take: Weeks of mourning tend to diminish the impact of an event itself. When something happens suddenly, your body, soul, and mind are assaulted by the event. I imagine that the Israelites of the First Century BCE didn't think it would really come down to the destruction of the Holy Temple, just as the Jews of Europe didn't think that Kristallnacht would lead to the destruction of 6 million Jews. The sudden impact of reality is what shatters the soul into complete mourning. Am I a tzaddik? Am I a rabbi? No. I suppose not. But for Tuvia and I to sit down and have a conversation about what we will and will not do during The Three Weeks and The Nine Days, well, I think that we have to be aware of community standards as well as our own expectations and understanding of the meaning of these times. What do you observe? What don't you observe? Are there any special family minhagim for this period that you've adopted? Well, I'm at it again! As if I don't have enough on my plate and more to come, I've started another blog. Yes, I know. I have this blog about all things Jewish and Judaism, and I have my Gluten-Free Kosher Critic blog where I review the obvious. But I wanted to start a very honest, blunt, and to-the-point blog about the struggle with food and the journey of weight-loss and healthy living. I'm I'm guessing at some point that the new blog will merge with Gluten-Free Kosher Critic, especially because with my new plan, Gluten-Free prepackaged foods often will be out, but for now, they're separate. Thus, I give you Kvetching & Noshing. Check it out. Let's talk. And don't judge me! I love it when book publishers and publicists send me books to review. Absolutely love it. Especially in the summer when I actually have time to sit down with a tome and give a little attention to a real-life, paper-style, bound book and not something on my iPad or Nook. I've revived the whole "going to the library" thing that I used and abused when I lived in Denver and Connecticut, because when I'm under the pressure of "return this in two weeks OR ELSE," I'm more likely to actually read the book. But this is a book someone sent me, and because I do have the time to review books, I thought I should get to it. 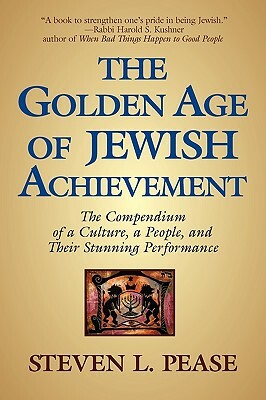 So, I sat down with The Golden Age of Jewish Achievement: The Compendium of a Culture, a People, and Their Stunning Performance: by Steven Pease over Shabbat, excited to see exactly what this offer had to offer regarding the sometimes seemingly unbalanced representation of Jews in positions of achievement. Unfortunately, I wasn't entirely jazzed with the book. The introduction made me wonder if at some point Pease said something and someone accused him of being an antiSemite so he felt like he needed to defend his position of his respect and admiration of Jews. He gives a laundry list of details about how he knows gobs of Jews, his favorite joke came from a Jewish friend, how he worked with Jews. You know, it's like that excuse, "Oh, I can tell this racist joke because my best friend is black." Listen, I get what Pease was trying to do: List and explain why Jews are so darn great at just about everything -- really tipping the scales in inventions, Nobel prize-winning, Hollywood, and so on -- except for sports. But this isn't the kind of book you sit down and read. It's the kind of book you reference on occasion when someone says, "Oh come on, there's no way Jews are that good at chess!" But when I said that this could be bad news in the wrong hands, it's because I feel like this is the kind of list that an antiSemite is just looking for to prove the "Jews run the world" argument. After all, if we're so darn good at achieving in certain fields, clearly we're going at it in a sneaky, Jewish kind of way. Should you go out and buy this book? Probably not. However, if you like stats and you like to know who the major players in various categories of Jewish public history, then this book definitely is for you. And it's only $14.95 on Amazon, so if you can get past the "oh I know lots of Jews, so it's all good" stuff, then perhaps you'll get your money's worth. This is the 23rd in a multi-part series called The Tzniut Project. Women from a variety of backgrounds with a variety of observances have volunteered to anonymously answer questions that I have written about their practices, people's assumptions, and more. For more information on origins the project, click here. Please continue to check back with The Tzniut Project to read more stories and comment abundantly! 1. How do you affiliate Jewishly? Feel free to elaborate on the words people use to describe you and the words you use to describe yourself.I describe myself as Yeshivish to Yeshivish lite. Meaning, I definitely fit in the Yeshivish box, but I also surf the 'net (obviously), watch a little Hulu, Netflix, whatever, read secular books. Basically, I'm open to secular culture, but I wouldn't say I'm Modern Orthodox. 2. Growing up, did your mother or grandmother dress modestly in any way? Do you think modesty was something instilled in you by your family? Did you dress modestly growing up?Modesty was definitely NOT something I grew up with. My mom (who is great, for the record) would walk around with nothing on. At all. Thankfully, she no longer does that. I did happen to wear a lot of skirts growing up, but that's just because I liked them. I also liked tube tops and strapless dresses, so there you go. 4. What would you wear on a typical day? On Shabbos? If you dress differently on weekdays and Shabbos, why do you make this distinction and how?Weekdays I typically wear comfortable, casual but fashionable clothes. T-shirts, some button-ups (never tucked in though, it never looks right on me), sweaters in the winter, and I basically alternate between five or six skirts, all comfortable. That's a big thing for me, to find clothes which look stylish but that I can move around freely in, and that I don't worry about the kids getting them messy. I do dress up more for Shabbos, with fancier button-ups, blazers, skirts and shoes. I reserve these clothes only for Shabbos, Yom Tov and Rosh Chodesh. For me, not wearing them during the week gives them a reserved status, so even if the actual article of clothing isn't so fancy, it still feels special when I wear it. When they start getting worn out, I "demote" them to weekday. 5. What do you think other people infer from your clothing and hair covering choices? Has anyone ever said anything to you outright that expresses a judgment based on your appearance? (Ex: “You don’t cover your hair or wear skirts, so why do you keep kosher?”)From the way I dress, people usually assume that I grew up frum. During one of my sheva brachos, one of the guests asked if I went to Bais Yaakov in NY [a schol for girls]. Also, friends have told me that some of my clothing choices are a little farfrumpt [very, very frum]. 6. Have you ever surprised someone by dressing more or less modestly and making them rethink their stereotypes about what it means to be an observant Jew?Well, after I started wearing modest clothes, my mother's aunt, a staunch Catholic, told me that I reminded her of a nun. I think that was probably a new association for both of us. 7. When you see someone who observes tzniut differently than you, what are your initial thoughts? How do you deal with them?On seeing someone with a different level of tznius, I'd say that I used to try and categorize them. I guess I was trying to decide where they would be coming from, what they "stand" for, etc. That was when I had just become frum and was probably a wee bit judgmental and zealous. Now, when I'm talking to a woman who, say, is wearing shorter sleeves than I would, or showing more hair than I do, I actually listen to what she's saying instead of pigeonholing her. I guess I've mellowed, and I've seen that where someone is holding on the tznius spectrum really has little to do with who they are as a person. This isn't to say that I don't categorize at all (I wish I was holding there), just not as much as before. 8. I say modesty or tzniut … what does that mean to you?Tznius to me means a way of being. It applies to how much we expose to the world in both an external and internal sense. How much we want to put out there and how much we keep for ourselves, our family, Hashem. 9. Anything else you’d like to add about your choices, experiences, and more!After I started dressing more tznuah, I did notice a marked difference in how strangers treated me. I definitely felt an increase in level of respect (though considering how I dressed before, it's not so surprising). I think that having to dress so utterly differently than I did before, and to be so much more, well, dressed, caused me to introspect a good deal. It made me think about how I used to use clothing as artistic expression. Like, my body was my palette, or I was a walking art gallery. After donning the frum "uniform," I had to re-assess who I was internally if I wasn't just a walking statement-maker. Or, to ask myself what statement I was making now, with the frumiform. It was an interesting transition. This is the 22nd in a multi-part series called The Tzniut Project. Women from a variety of backgrounds with a variety of observances have volunteered to anonymously answer questions that I have written about their practices, people's assumptions, and more. For more information on origins the project, click here. Please continue to check back with The Tzniut Project to read more stories and comment abundantly! I do not like denominations or boxes. I identify as a Jewish woman who is doing her best to live a halachicly observant life in 2011. If you asked my friends and family you would hear the following descriptors though: Conservative, Conservadox, Traditional, Orthoprax, Modern Orthodox, Orthodox, or just simply frum. For your box placing ease, here is what I can briefly share. I am shomer Shabbat, shomer Kashrut, observe taharat hamishpaca, wear skirts and sleeves and cover my hair at all times in the presence of anyone other than my husband or parents (I don’t have kids yet, don’t know what I’ll do then!). I also believe in learning with a critical eye and the need to question and understand our religious obligations. I am comfortable davening with or without a mechitza, but I will always respond aloud and will sing along aloud as well. Oh, and I only wear stockings in the winter (for warmth) and live in open-toed shoes all summer long. I did not grow up religious, so although my mother and grandmother both dressed modestly, it was not a religious choice, but rather just a personal one. They were comfortable with themselves, but also dressed in a way which was always appropriate for any setting. I on the other hand, did not. Everything I wore was too short, too low, or too big. I had no sense of dressing in a way which honored my body. However, opting into modest dressing (a la tzniut) as an adult makes it a conscious and continual choice that I am proud of now. I am indeed married. 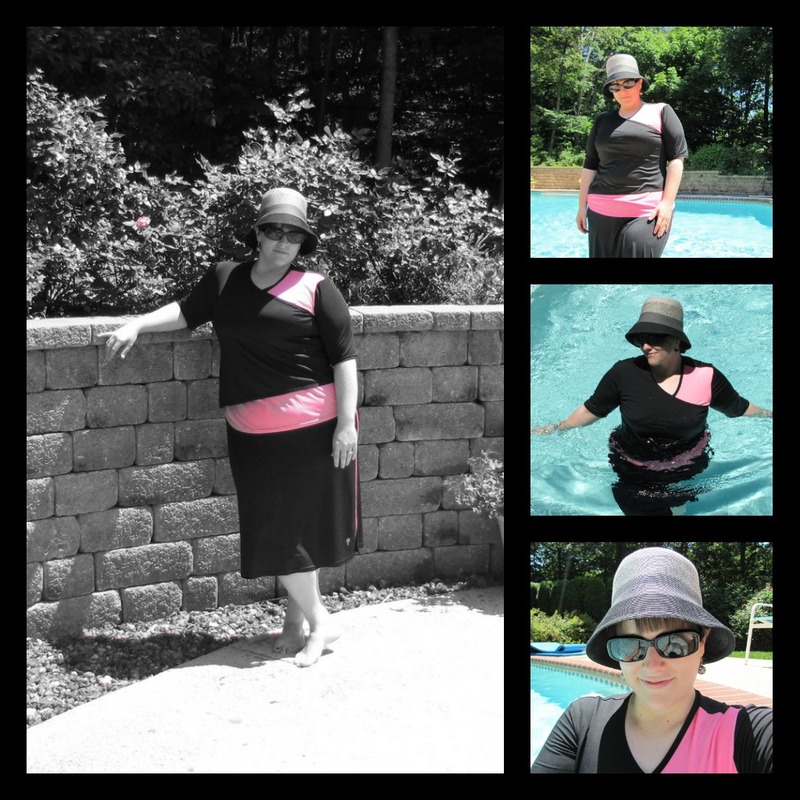 My husband appreciates that I dress modestly, however he respects that is my choice. If I were to decide to wear pants again, he would be fine with it. Lucky for him, he also knows that I fully believe in this mitzvah and will not take backward steps in its observance. The only thing he has a vocal opinion on is not wearing a sheitel, and 95% of the time I agree with him about that. I wear skirts past my knees and sleeves over my elbows, and something on my head. On a typical day, it is an a-line or jean skirt with a shell and a cute cardigan/wrapigan/blazer or a cute top over a long sleeve shell with a coordinated head covering. Over Shabbat it is similar, only the skirt and hat selection is specifically different. 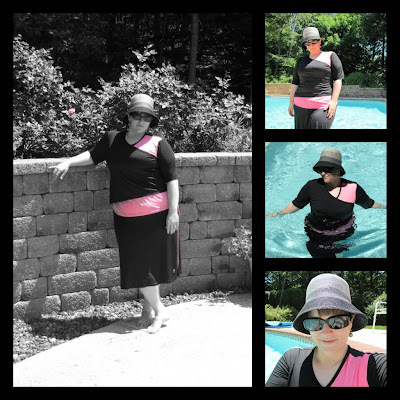 When I began only wearing skirts, I knew I had to somehow make Shabbat clothing special. So I have weekday skirts and Shabbat skirts (and hats) and they are separate in my closet. Oh, and always with fun accessories and shoes – tzniut does not mean boring! However, the one that affects me more profoundly is that when I made the shift to dressing tzniut, it was difficult for many people in my life to handle, largely because I was known for wearing low slung jeans and tank tops. How was it possible to choose to wear shirts with sleeves to the elbow all the time, and later to only wear skirts past the knee and a neckline close to the collar bone? Clearly it was being forced upon me! How shocked they were to learn I had really come to think about how I dress in a different way. I found it empowering to take control of my body and how I presented it to the world in a positive way, and I make the choice every day when I get dressed. It has been years now, and I still have friends and family members who cannot accept that this is my choice, let alone one that I am happy with and intend to opt into every day of my life. All the time! I do not live in a city or community where tzniut is common. I know very few women who wear skirts and sleeves, fewer who always cover their hair, and even fewer who do not wear sheitels. So being someone who does all that, but is also an educated career woman who is engaged in the broader (read: secular) Jewish community – often makes people stop and think. It is a proud moment for me whenever I can make someone rethink their stereotypes, and gain a broader sense of all the different types of religious Jews out there. I believe that it is a journey and I am always happy to see people on the path. I do not think I have room to judge anyone, as I would not want to be judged by others. My favorite thing about seeing someone out and about who observes tzniut differently, is when we can look at each other and know we are sisters on the journey, and give each other a knowing nod or smile. My friends who do not dress tzniut don’t understand those moments, but I do. It makes my heart happy. Tzniut tends to be most commonly translated about modesty in reference to clothing. I think defining it down on this level does an injustice to tzniut and people who uphold the ideal of modesty. Personally, I believe that the most important component of tzniut is how we carry ourselves, not how we dress ourselves. Holding your head high with confidence, without boasting. Being a good person and friend, without advertising that you feel you are such. Lending a hand when needed, without making a big show about how helpful you are. That is the inner-modesty which is so much more valuable in today’s society. While how we dress should reflect the person we are on the inside, should a woman’s skirt length be more important than living a modest life? I am a part of a chain that reaches back for thousands of years. There is a great joy in knowing who you are, and where you come from; in cherishing and preserving those cultural and religious treasures which are your heritage and which make you unique. Why should I allow these men to push me out, deny me that place? No, I prefer to fight them, to make them live up to the goodness and justice of the authentic religion that belongs to me, not just to them. I prefer to have them thrown out, rather than for me to leave. This response captures my sentiment on embracing modest dress more eloquently than I could have realized. Today, I said "yes" to three new gigs sort of kind of officially. One is with a Jewish school, one is with a Jewish author, and the other is with a really awesome Jewish project that I will blog more about later. In between all of that "yessing" I was running oodles of errands to fun places like Target and Whole Foods. 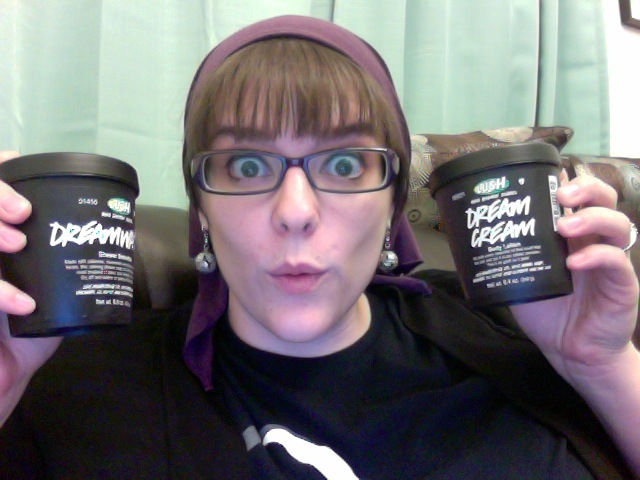 I also happened to stop by Lush, one of my most favorite stores in the entire world. This isn't only because their products are amazing, but because to be honest, they have the best customer service and employees on the planet. Period. Moisturized hands down. Oddly enough, while this trip to Lush -- where the amazing Sales Girl talked me into probably way more than I needed -- I had an educational experience. You see, I wear a lot of purple. It happened by chance that my MacBook cover is purple, my cellphone cover is purple, my favorite shoes and sandals are purple, and so on. In fact, I got rid of a purse that was purple because I felt like people thought I was nuts. But today I happened to be wearing a purple tichel from Israel, a shirt with black and purple headphones on it, and my purple sandals. Sales Girl: You like purple? Me: Oh, geez ... yeah. I do. It's become my favorite color recently. Sales Girl: It's my favorite color, too! Sales Girl: Especially purple and black! Me: I seem to wear a lot of that. Sales Girl: You know those are the colors of Anarcha-Feminism, right? Sales Girl: Do you know what that is? Anarcha-Feminism views patriarchy as a manifestation of involuntary hierarchy. Anarcha-feminists believe that the struggle against patriarchy is an essential part of class struggle, and the anarchist struggle against the state. In essence, the philosophy sees anarchist struggle as a necessary component of feminist struggle and vice-versa. Interesting. And there I was, in my head covering, married, being that stereotype of what A-Fs argue as the stifling of "individual growth." 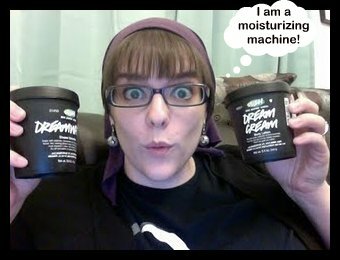 As I looked over the amazing Lush dry shampoos, I explained how covering my hair has affected my hair, and she responded with some ideas. But from the moment she was rubbing Dream Cream all over my hands and explaining Anarcha-Feminism to me, I felt, as I said, weird. I also started to wonder whether lots of people know about A-F and think my purple-black combo means something more than it actually does. Either way, weird or not, learning about Anarcha-Feminism was interesting, despite it being a philosophy I'd never personally consider or take on. Have you ever heard of A-F? Would you call yourself a Feminist? Is there a place for Feminism in Orthodox Judaism? 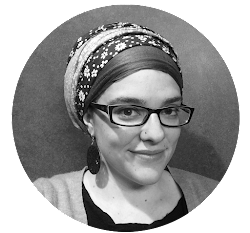 The Tzniut Project 21: "I'm a Conservative Jew who covers her head." This is the 21st in a multi-part series called The Tzniut Project. Women from a variety of backgrounds with a variety of observances have volunteered to anonymously answer questions that I have written about their practices, people's assumptions, and more. For more information on origins the project, click here. Please continue to check back with The Tzniut Project to read more stories and comment abundantly! I am a proud member of the Conservative Movement and affiliate at medium sized (400 family) Conservative synagogue. My husband is an employee of the congregation, and we live in walking distance of the synagogue. We are Shomer Shabbat and keep a completely kosher home. Since we live in a town with no kosher restaurants besides the JCC café, I do eat vegetarian food out at non-kosher restaurants. My husband does not, although on rare occasion in the interest of shalom bayit, he will have a cheese-less salad at a non-kosher restaurant (think anniversary dinners, etc). I did not grow up in an observantly Jewish home, so I cannot say my mother or grandmother dressed in a modestly-aware style. That said, there was always a sense of appropriate dress that was expected for me. One thing I will definitely emphasize one day when I have children is that they dress like children. Today, one thing that really bothers me about dress is how adult, sexually-charged, and inappropriate little girls’ clothing can be. Little girls do not need bikinis, spaghetti strap tank tops, or tee shirts with suggestive statements on them. I didn’t dress modestly by tzniut standards growing up, but I was never a tank top wearer (perhaps mainly because my mother didn’t buy use clothing like that!). Since I was always one of the tallest girls in my class, short skirts were unacceptable in my family because they were REALLY short on me. I am (happily) married for just over a year. I was never planning on covering my hair after marriage although my husband did ask me about it when we were first engaged. His words were, “I’d rather you not cover your hair, but it would be completely fine with me if you did. It’s your decision.” I appreciated his respect of that, and I’m not sure if one day I will take on that mitzvah. My husband does not have any real opinions regarding my clothing choices and has told me he likes no matter what I wear (I sure am lucky!). My style of tzniut is a modified version with which I feel very comfortable. I would say I wear skirts about 75% of the time. I went through two year-long periods in college and in my first year of marriage where I wore almost exclusively skirts reaching the knee. I do wear pants, although I do not wear tight jeans or dress pants – usually I prefer more, full trouser-style. I do wear short sleeves, however I am no longer comfortable wearing tank tops in public. I do not cover my hair. On Shabbat and teaching religious school, I always wear skirts and sleeves at least to the elbow if not longer. I always wear a kippah in the synagogue (even if not davening or teaching) and wear a tallit at all morning services. For me, my Shabbat clothes are truly separated out from my weekday work and after work clothes. Even my style choice is slightly different – on weekdays, I wear more business professional style with pencil skirts and blazers and on Shabbat, I tend to wear more mid-calf, flowy skirts with cardigans and brighter colors. I occasionally wear hats on Shabbat to services instead of a kippah. Yes! This is perhaps the most frustrating thing to me. For a while, when I was wearing more skirts, I felt a little bit more recognized as observant within my city’s broader Jewish community. Now, when I’ve been at our JCC in pants, I often feel like people are shocked to find out that my husband and I are Shomer Shabbat or keep kosher. It goes to show how appearances can cause assumptions. That said, the people who matter most to me (both in the liberal and Orthodox communities), recognize the strong Jewish life that I (and my husband) live. That’s what really matters. When a friend of mine started covering her hair about a year into her marriage, it caused a bit of a stir at our synagogue where there were no women who did that and barely any women who wear a hat on Shabbat (most are bare-headed or wear kippot). For me, I wondered if she was becoming too immersed in the Orthodox community in which she was volunteering. Now, she has a young son and has brought him every Shabbat since he was born to our Conservative synagogue and has continued to read Torah and wear a tallit along with a tichel. I admire her for staying strong in her decision, despite what others thought. Many things. On the surface and if I look at my earliest understanding of the term, it means the way “observant” Jews dress and behave. I see myself as an observant Jew and certainly more traditional than most members of Conservative Judaism. Today, I see tzniut as an important element that enlightens how I dress and how I behave. Certain things are kept for myself and my husband. I don’t need to put my body (or for that matter, my thoughts) all “out there” in order to put portray my personality and my character. This is perhaps the most important lesson tzniut has taught me. Thank you so much for doing this project and for including people of all segments of the Jewish community. 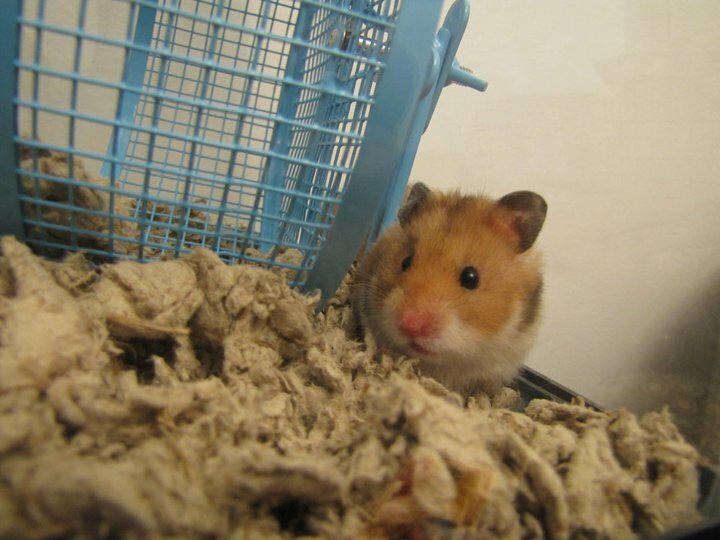 When I was a kid, I had hamsters. There was an incident with some cheetos once, and I'm hoping not to repeat that again. 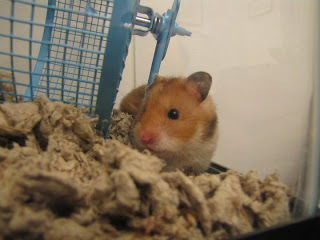 Evidently Tuvia appreciates my ability to not kill animals, because I came home Thursday night to -- yes, you guessed it -- a hamster! 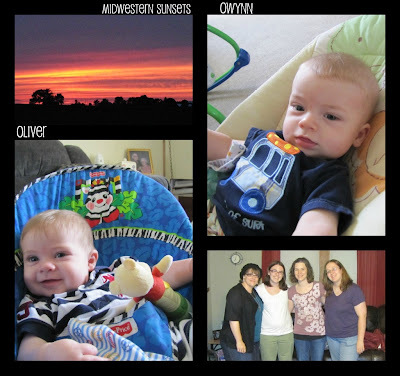 We spent most of Friday debating the name -- Tuvia wanting Geveret, me tossing between Soferet and Chickpea and a host of other names suggested by my Twitter and Facebook friends. As of Shabbos dinner Friday, we hadn't picked a name, so I tasked our guests Ally/David and Syuzanna/Peter with helping us name our new little girl. And then, at some point, I can't even remember how, Rachav came up. Yes, that Rachav, the one from Joshua who was known as the illustrious harlot, woman of the night, innkeeper and so on. But to me, Rachav is a heroine, worthy of some seriously great praise because, well, without her, the conquest would never have happened and the Israelites (and subsequently Jews) might never have survived, thrived, and grown. 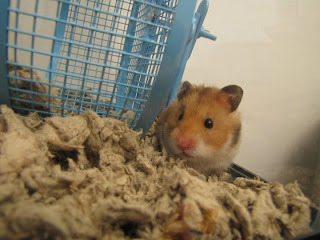 I wrote about her before, in case you're questioning my motives. She buried herself to sleep ... and even built a moat! With an alligator! Ahh, summer days. By the pool. Healthy summer beverage in hand (in this case a Starbucks Doubleshot on Ice). A breeze blowing just strongly enough to keep me cool. Comfortable swimsuit, too. I never thought this could be something I'd enjoy. Honestly, ever since that time at the Belmon Pool back in middle school when this kid Jon (yes I remember his last name, but I'm not posting it) scarred me for life by saying "beached whale" and singing the Butterball Turkey jingle to me. I don't think I went back to the pool after that, at least not a public pool. There were hotel pools, but I even steered clear of those. My mom had a knack for taking tons of pictures of my young, oversized frame in the worst of lights. And swim lessons? Psshaw. I was 10 when those started and let's just say I hated (is that a strong enough word?) them. Swimsuit Care Instructions are here. And did I mention that some of the suits have material that is Ultra Chlorine Resistant? 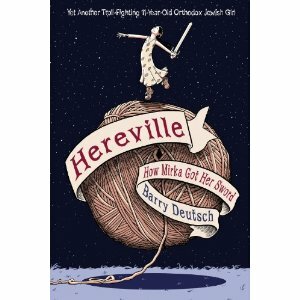 For you, my lovely readers, simply enter KVETCH for an 8 percent discount at checkout! Also, if you're in the Teaneck area, they have a vendor who stocks the product and you can skip the S&H and pick your suit up there, just let me know, and I'll give you her information! Moral (sort of) dilemma: I was in Starbucks today getting a beverage and a man in a kippah with a beard walked in with his son, who was probably 8 or 9. Father: What is that thing that you want? Son: A double chocolatey chip thing. Starbucks Girl: Oh! A double chocolate chip frappuccino. The man proceeded to order an ice tea (which is fine), but I was perplexed. Didn't he know the frappuccino stopped being kosher last year? When they went from a coffee base to a cream base? I was tormented. I really wanted to tell him. The guy clearly had zero clue what a frappuccino even was, let alone its kashrut status. Should I have said something? Or would it have been out of line? Does it not matter because it was a kid? After a brief hiatus, we have a few more in the series! This is the twentieth in a multi-part series called The Tzniut Project. Women from a variety of backgrounds with a variety of observances have volunteered to anonymously answer questions that I have written about their practices, people's assumptions, and more. For more information on origins the project, click here. Please continue to check back with The Tzniut Project to read more stories and comment abundantly! I consider myself a 'traditional egalitarian' Jew with a progressive bent and a universalist ethos. I did not grow up with a concept of modesty in a religious sense but was raised with a concept of propriety. My mother taught me that clothing is contextual. If I would visit a place of worship, I was expected to cover my shoulders because it was considered the decent thing to do. If I was engaging with elders or in a situation that required social decorum, I was taught to dress the part. But it was also considered perfectly fine for me (as a teenager) to wear a strappy top when going to the disco. Hence, a certain mild form of modesty was instilled but since we were secular, it was detached from any religious ideology. It was also gender-neutral: my mother expected the same conduct from boys as she did from girls. My spouse and I are both modest dressers. He is fully egalitarian so 'modesty' to him is not connected to gender but is connected to dignity, bodily integrity and a sense of sexual exclusivity -- and this applies to us both. He considers the more modest, classical fashions more pleasing so he tends to gravitate to those naturally. He does feel that modesty can help protect me (and perhaps other women) from the pressures of the beauty ideal. Yes, it is a dialogue between us. He respects my autonomy and would never legislate, boycott or disapprove of my choices. On a regular weekday, I wear knee-length skirts or pants and cap-sleeved shirts. My rule of thumb is that I want my knees and shoulders to be covered and I try to avoid plunging necklines. I am fine with collarbones and elbows showing and I do wear form-fitting but not skintight clothing. Modesty to me is not only about 'covering up' but also investing my dress with dignity and beauty. I try and 'dress up' even on weekdays. On Shabbos I consider it lichvod Shabbat (in honor of Shabbat) to do so and it gives me tremendous pleasure. It is also a way for me to assert the hevdel (the difference) between Shabbat and weekdays. So I wear skirts exclusively and either a kippah or a hat/scarf when I go to shul (depending on context). I love wearing a suit or a silk dress or skirt on Shabbos, paired with my pearls, make-up and French perfume. I guess I am a little old-fashioned! I tend to be a bit more modest than my 'denominational surroundings' but I am fine with that. For me, it's a personal choice and as long as I adhere to a benchmark that feels authentic to me, I am happy. When I started practicing tzniut, people had to get used to it but now it's become part of me. Because I try to look 'stylish' and because I am 'lenient' about necklines and elbows (when seen from a traditional Orthodox vantage point), I don't think people really notice. I do get compliments on my personal style (which make me very happy!). My relationship with headcovering is a bit more complex: I used to cover my head continuously before marriage as an egalitarian practice of devotion (I would wear a scarf or a beanie as an alternative to a kippah) and continued this practice for a number of years after marriage. But I did get problematic responses to my headcovering from time to time and I also felt it didn't align with my need for a professional look. After much contemplation about where I stand on kisui rosh (headcovering), I discontinued it. Not covering my head has felt lonely in the beginning. But also strangely empowering because to me, 'modesty' is a total concept and not just contingent on headcovering. I feel I can still be modest with an uncovered head, and it's been an interesting journey. I believe in human diversity so I embrace people's different choices. My only criterion is that they are actual choices. I support women's (and men's) right to claim their sexuality and bodily integrity so I have no judgement about that in general. I do worry, however, about the disproportionate sexualization of women's fashions and women's bodies and as a 'feminist', I would like to see (young) women challenge this objectification. It saddens me that many young women take an uncritical approach toward fashion, compromising their dignity and undermining their self-worth. But in the end, it is a very individual path and I adhere to tzniut for myself first and foremost. Part of the concept of tzniut is also refraining from immodestly imposing your will on others, I think! I say tzniut because 'modesty' conjures up a set of associations that don't really fit me. I am not demure or quiet, ultra-feminine or morally conservative although I respect people who are! I am an active, emancipated, egalitarian woman who wants to reclaim tzniut in a socially progressive and spiritually relevant way. Also, tzniut not just about dress but also about attitude. I am fully committed to my monogamous, marital relationship and so tzniut encompasses sexual restraint. It's about keeping private what is internal and sacred. As a gender-egalitarian, tzniut actually helps take gender out of the equation somewhat when it comes to my social interactions. I want to be judged on my soul, not on my body or gender. I wish there was more of a consciousness in the Western world about how dress impacts our sense of self and our relationship with the world at large, including the beauty standard, self-image, ethical consumerism and garment workers' rights. Tzniut can be such an empowering and liberating practice. I have come to love and respect my body so much more through covering up. It allowed me to relax about my alleged physical imperfections and allowed me to extract myself from an industry that objectifies women (and men). I took back the power over my body and feel more dignified than ever. Try it -- you might like it! At the beginning of 2011, I started analyzing my journey to Judaism in this post, trying to figure out exactly when I knew. People ask me that all the time: How did you know? When did you know? As if you can pinpoint a moment in time when it suddenly arrived: My neshama is Jewish! Weird, right? Super weird. January 2, 2003, I knew something. Clearly, the talk I remember having with my friend that made me go out and buy Anita Diamant's "Choosing a Jewish Life" must have happened in Fall semester 2002. Can you pinpoint the moment you knew? Please take a moment to pray for the quick and safe return home of Leiby Kletzky (Yehuda ben Itta Esther), a 9-year-old boy from Boro Park who has been missing since yesterday evening. 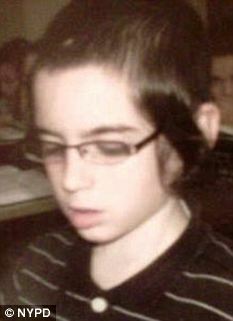 Leiby was last seen leaving Nechmod Day Camp located on 44th St. between12th and 13thAve.,wearing glasses, a green/white/blue striped shirt, navy pants, black sneakers, and a Nechmod Day Camp knapsack. Please stop what you are doing and say Tehillim chapters 130 and 142 for Yehuda ben Itta Esther, and pass on this email to as many people as possible! I'm back in New Jersey after a whirlwind week-long schlep to Nebraska and back. Our trip included some interesting stop-offs like Antique Archaeology (a.k.a. the home of TV's "American Pickers"), the World's Largest Wooden Nickel, a former bank robbed by Bonnie and Clyde, Freedom Rock, and, of course, Ken's Diner in Skokie, Ill., for a bit of kosher nosh. We visited the Omaha Zoo, which was amazing and included the Skyfari -- a ski-lift style ride over the expanse of the zoo, and we spent a bucketload of time hanging out with my nephews Oliver and Owynn. I made my parents dinner, and I got to spend some time with a few of my best friends from high school. And I can't forget to mention the beautiful sunsets and the 360-degree view of fireworks on the Fourth of July. For oodles of photos from my trip, check out my Facebook Album! And check out this very brief video of the sleepy ones in action! I have a lot to say about the trip, especially how it made me feel. I can't lie: the trip left me feeling kind of sad, but not in a nostalgic way. More like, why haven't I tried harder to keep in touch with people and keep up on their lives? When did I stop being a friend to my friends? Over Shabbos, instead of napping, I opted to read a few books and allow Tuvia to destroy me at various games, including Othello. (Note: I kicked his tush at Bananagrams and Trivial Pursuit). You see, we were leaving on Sunday morning at 7 a.m. in order to begin the Great Roadtrip of 2011 to Nebraska to pick up some historic relics of my childhood (i.e., yearbooks, binders full of notes, and more) from my parents house as they attempt to downsize, so I decided -- at Tuvia’s suggestion -- not to do the usual Shabbat shluff thing. I amazed myself by staying away all day Saturday, and then angered myself at 2 o’clock in the morning when I was still awake. Let this be a lesson to all: Always, I repeat always, take a Shabbos nap. The two books I spent my Shabbos reading were The Sonderberg Case by Elie Wiesel, the famed Nobel laureate and author of Night, and The Oriental Wife by Evelyn Toynton, which actually doesn’t come out until July 19 (mad props to the folks at Other Press for sending me a review copy). Both books connected in some way to the Holocaust, it was a pretty dismal Shabbos. Wiesel’s book details the experience of a theater-lover turned theater-critic who is forced into covering a trial because, well, if modern trials prove anything, it’s that they’re quite theatrical in their nature. The book takes place during the 1950s or 1960s during a time rife with trials bringing former Nazis to justice (think: the Eichmann Trial of 1961), but unlike what you might expect, the trial doesn’t put a former Nazi on the stand. Rather, the defendant is accused of killing his German “uncle” on U.S. soil. The book is far less about the trial itself than it is about the reporter, Yedidyah, and his inner dialogue with his supposed grandfather and the people he thinks are his relatives who perished in the Holocaust. His inner dialogue ends up revealing some fascinating tidbits about the life he’s led and what he thought he knew, and so as to not spoil it, I won’t spoil it. The book ends with an awkward dialogue between Yedidyah and the accused many years after the trial takes place, and the accused comes clean about what really happened. It’s not exactly what you would have suspected, or maybe it was more predictable than Wiesel would have wanted. The book was difficult to point down, if only because you want to know exactly who Yedidyah really is and what exactly happened between the accused and his German “uncle,” but the book often loses itself by switching back and forth between first and third person, which I found quite bothersome. Likewise, the inner dialogues that Yedidyah has are beyond what I would call stream-of-consciousness. In fact, they dabble in the completely random and out-of-nowhere stream of thought. He quotes French thinkers and great rabbis and the Talmud and the works of great authors long dead, and sometimes, it feels forced and confusing. However, perhaps that’s just part of who Yedidyah is -- confused, profound, and brilliant. The book was translated from the original French, which makes me wonder whether something was lost in translation. Overall, it was an excellent read, if you can get past the jumps in the storyline, the out-of-the-blue quotes, and random thought narratives. The Oriental Wife, on the other hand, didn’t quite have the nice ribbon-and-bow ending that Wiesel’s seemed to give the reader. In fact, after reading this book I put it down and said to Tuvia, “Well, that was depressing.” I’ll admit that I only spent about two hours reading the 304-page book -- it’s that quick of a read, thanks to a well-written (for the most part) narrative that is fluid and functional. But I have a few major gripes. The story focuses on three assimilated Jewish kids in Nuremberg in the pre-war years. The back cover of the book says it focuses on two of the kids, but in reality, Rolf, Otto, and Louisa are the main focus of the narrative. Louisa goes off to school, falls in love with a British fellow, moves to England, becomes broke, falls in love with another British fellow, ends up in the U.S., and ends up at the doorstep of Rolf and Otto, both who had moved to the U.S. several years prior. All of their family members are stuck in Europe, and they work effortlessly to bring them to the U.S. Rolf and Louisa fall in love, have a baby, and in the process something horrible happens to Louisa (the "freakish accident" that the book jacket mentions? I think not; more like medical woe). Rolf proves to be a jerk, too, Louisa leaves, and their daughter Emma grows up -- really fast, as the book skips about 20 years of their lives for the sake of what, I’m not sure. Rolf becomes ill, and everyone pretty much lives a miserable, confusing end to their life. Did I give away too much? The way that Louisa is presented after she becomes brushed with English charm seems trite and forced, and later in the book it’s almost as if she’s a completely different person. Yes, she goes through a bevy of shocking and life-altering changes, but the character shouldn’t stray that much from who she begins the book as. It put me off, unfortunately, and I felt no sympathy for the character as the book went on, despite what I can only assume was the author’s point of having the reader see a variety of tragedies -- those before, during, and after the Holocaust, many that were completely unrelated to the Holocaust. I was left wondering whether the author was trying to minimize suffering of the Holocaust, as if to say, “There are many modes of suffering for the Jews, the Holocaust was just one drop in a bucket.” Similarly, I grew annoyed with Otto, Louisa’s and Rolf’s good-natured friend, and Rolf was, to me, the most cold and inconsiderate of characters, despite his work to bring refugees to the U.S. The characters in The Oriental Wife seemed an anomoly to me -- I just don’t get them. Even the daughter, Emma, confused me. Her character development was weak and her relations with a Cambodian seemed almost unnecessary and forced (as I’m sure me mentioning it now feels to you). Only Sophie, the doctor's kind and considerate wife seemed remotely normal. Oh! And I must mention that the emphasis on "assimilated" seems beyond forced on many occasions, as if the author insists that we understand these aren't your typical Jews. No, they're from Germany, and they go out for BLTs and stir cream into their coffee (violation times two!) on page 194. On another occasion, the live-in nanny insists on making bacon for Rolf for breakfast, that he must it it! Ugh. We get it, okay? Should you read The Oriental Wife? Yes and no. If you believe in the importance of character development and consistency, the book might drive you nuts. If you’re up for a fairly fluid narrative that has you wondering what will befall the storyline next, then perhaps it’s worth your time. As for the title? Well, it's a dead giveaway in the beginning of the book -- don't worry, you won't be led on. Stay tuned for more book reviews and video blogs and a Sabra giveaway. I know, I know ... I put you guys on hold on so many things, but I'm on the road! Need anything from Nebraska? Let me know.